Cyber security researchers discovered a new variant of the ‘merosa@india.com ransomware‘, which named ‘Etols ransomware‘. It appends the .etols file extension to encrypted file names. Here’s everything you need to know about this ransomware, how to remove ‘.Etols ransomware’ and how to restore (decrypt) encrypted files for free. Instructions which is shown below, will allow you to remove .Etols ransomware as well as recover (decrypt) encrypted files stored on your PC system drives. How to protect your PC from .Etols ransomware? Even if you have the up-to-date classic antivirus installed, and you have checked your machine for ransomware and removed anything found, you need to do the guidance below. The .Etols ransomware virus removal is not simple as installing another antivirus. Classic antivirus applications are not created to run together and will conflict with each other, or possibly crash Microsoft Windows. 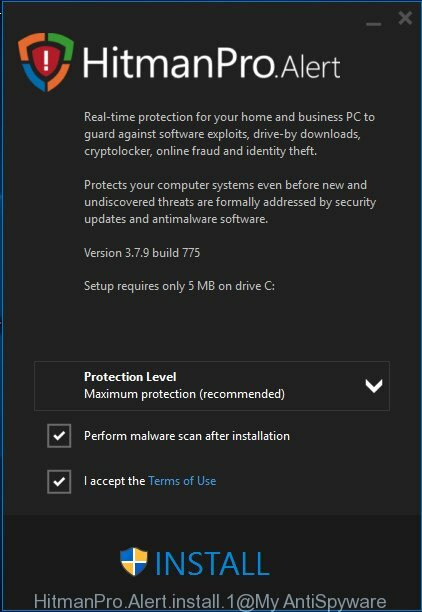 Instead we suggest complete the steps below an run Zemana Anti-malware, Malwarebytes or Kaspersky Virus Removal Tool, which are free applications dedicated to find and get rid of malware like .Etols ransomware. Use these tools to ensure the ransomware is removed. We advise you to use the Zemana Anti-malware which are completely clean your PC system of this ransomware. Moreover, the utility will allow you to get rid of trojans, malicious software, worms and adware software that your system can be infected too. Visit the page linked below to download Zemana Anti-Malware. Save it on your MS Windows desktop or in any other place. After the download is finished, close all windows on your PC. Further, start the install file named Zemana.AntiMalware.Setup. If the “User Account Control” prompt pops up as displayed on the screen below, press the “Yes” button. It will show the “Setup wizard” which will assist you install Zemana Anti-Malware (ZAM) on the computer. Follow the prompts and do not make any changes to default settings. 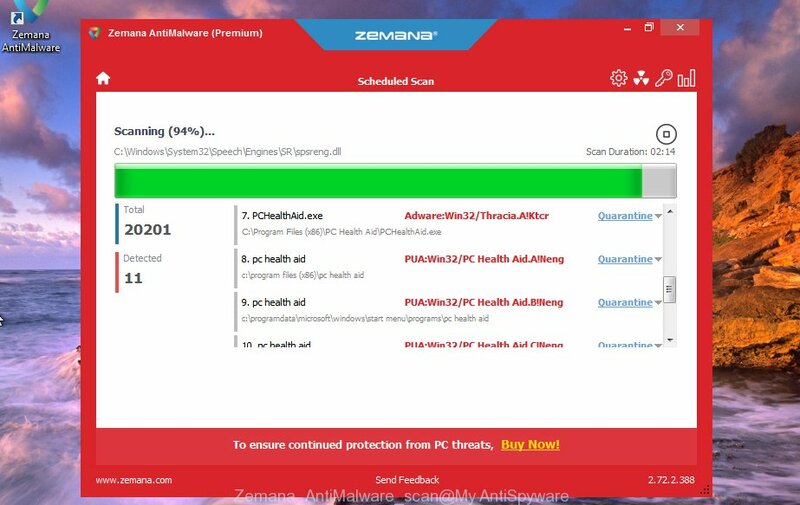 Once installation is finished successfully, Zemana Anti-Malware will automatically start and you can see its main window like below. Next, press the “Scan” button to begin checking your personal computer for the .Etols ransomware virus and other security threats. A scan can take anywhere from 10 to 30 minutes, depending on the count of files on your PC system and the speed of your computer. When malicious software is detected, the count of the security threats will change accordingly. Wait until the the scanning is done. After the scan get finished, a list of all items detected is created. In order to remove all threats, simply click “Next” button. The Zemana AntiMalware will remove .Etols ransomware virus and other security threats. When the clean-up is complete, you can be prompted to restart your computer. You can remove Etols ransomware automatically through the use of MalwareBytes Anti Malware. We recommend this free malware removal tool because it can easily get rid of ransomware, adware, malware and other undesired apps with all their components such as files, folders and registry entries. Visit the page linked below to download MalwareBytes Anti Malware (MBAM). Save it directly to your MS Windows Desktop. When downloading is done, close all windows on your PC. Further, run the file named mb3-setup. If the “User Account Control” prompt pops up as displayed below, click the “Yes” button. It will open the “Setup wizard” that will help you setup MalwareBytes Free on the PC system. Follow the prompts and don’t make any changes to default settings. Once installation is done successfully, click Finish button. Then MalwareBytes Anti-Malware (MBAM) will automatically launch and you may see its main window as on the image below. Next, click the “Scan Now” button . 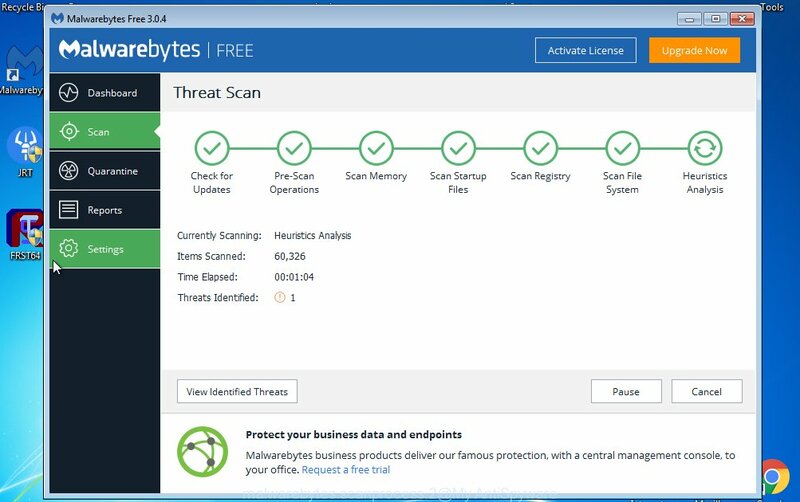 MalwareBytes AntiMalware utility will begin scanning the whole system to find out Etols ransomware and other malware. This task can take quite a while, so please be patient. While the utility is scanning, you can see count of objects and files has already scanned. Once that process is finished, MalwareBytes AntiMalware (MBAM) will create a list of malware. You may delete threats (move to Quarantine) by simply click “Quarantine Selected” button. 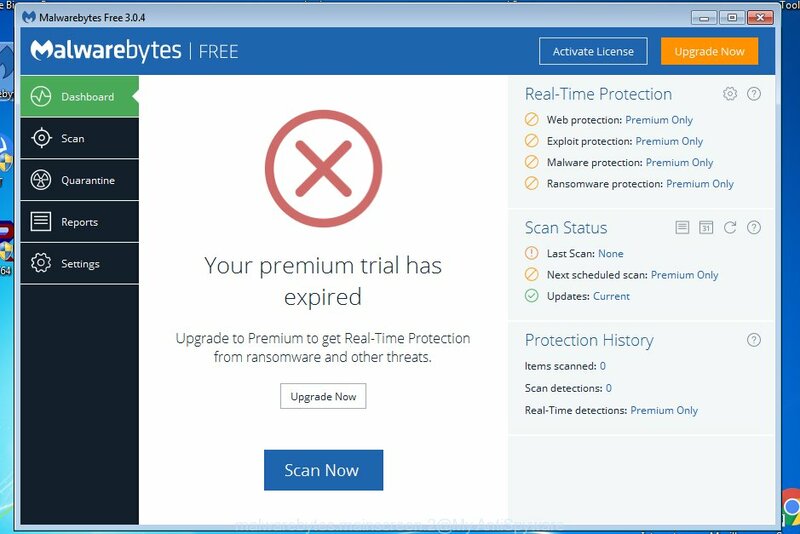 The MalwareBytes Free will remove Etols ransomware related files, folders and registry keys. Once finished, you can be prompted to reboot your computer. We recommend you look at the following video, which completely explains the procedure of using the MalwareBytes Free to remove hijackers, adware software and other malware. The KVRT tool is free and easy to use. It may scan and remove ransomware such as .Etols ransomware, malware, trojans and worms in Windows OS. KVRT is powerful enough to find and delete malicious registry entries and files that are hidden on the personal computer. 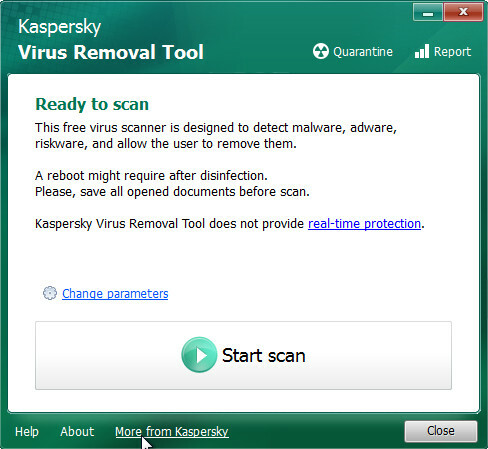 Download Kaspersky virus removal tool (KVRT) on your PC from the link below. After the download is complete, double-click on the KVRT icon. Once initialization procedure is finished, you’ll see the Kaspersky virus removal tool screen as shown on the image below. Click Change Parameters and set a check near all your drives. Press OK to close the Parameters window. Next click Start scan button . Kaspersky virus removal tool utility will start scanning the whole computer to find out .Etols ransomware and other malware. This process can take some time, so please be patient. While the KVRT is scanning, you may see how many objects it has identified either as being malicious software. As the scanning ends, KVRT will display a list of found threats like below. Once you have selected what you wish to delete from your computer click on Continue to start a cleaning process. The .Etols ransomware virus encourages to make a payment in Bitcoins to get a key to decrypt files. Important to know, currently not possible to decrypt .etols files without the private key and decrypt program. Never pay the ransom! You might feel that you have no other choice but to pay up and decrypt .etols photos, documents and music quickly. There is no guarantee that the authors of .Etols ransomware will live up to the word and give back your documents, photos and music. With some variants of Etols ransomware, it is possible to decrypt or restore encrypted files using free tools such as STOPDecrypter, ShadowExplorer and PhotoRec. STOPDecrypter has been updated to include decryption support for the following .djvu* variants (.djvu, .djvuu, .udjvu, .djvuq, .djvur, .djvut, .pdff, .tro, .tfude, .tfudeq, .tfudet, .rumba, .adobe, .adobee, .blower, .promos. STOPDecrypter will work for any extension of the Djvu* variants including new extensions (.etols). 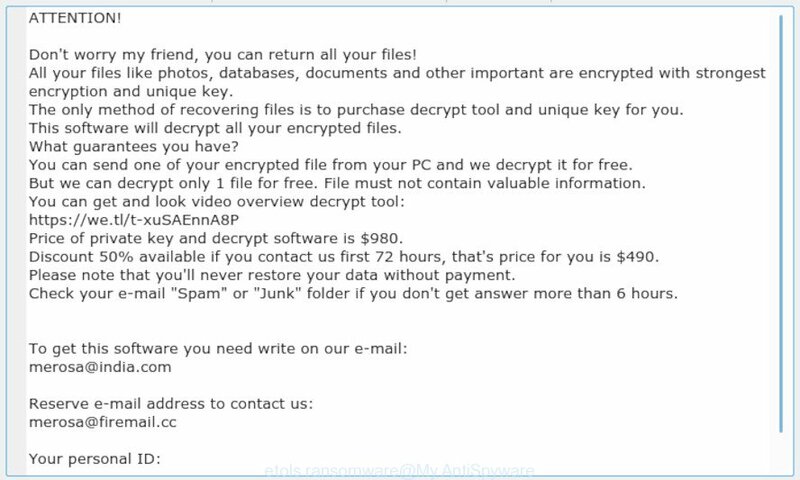 In some cases, you can recover files encrypted by .Etols ransomware virus. Try both methods. Important to understand that we cannot guarantee that you will be able to recover all encrypted files. In some cases, you have a chance to restore your photos, documents and music which were encrypted by the .Etols ransomware virus. This is possible due to the use of the utility named ShadowExplorer. It is a free program that created to obtain ‘shadow copies’ of files. 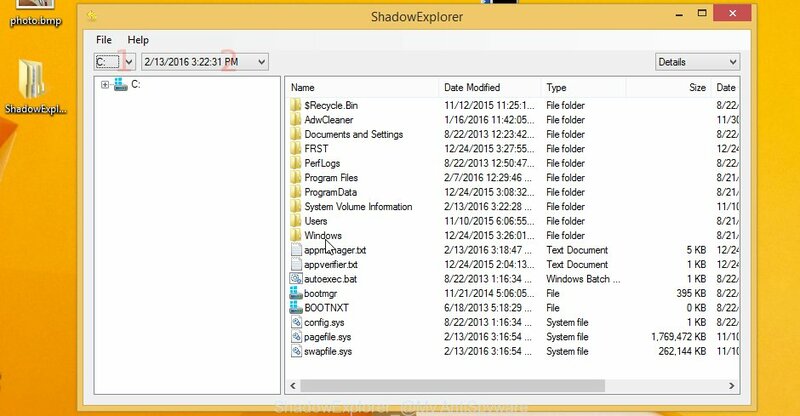 Installing the ShadowExplorer is simple. 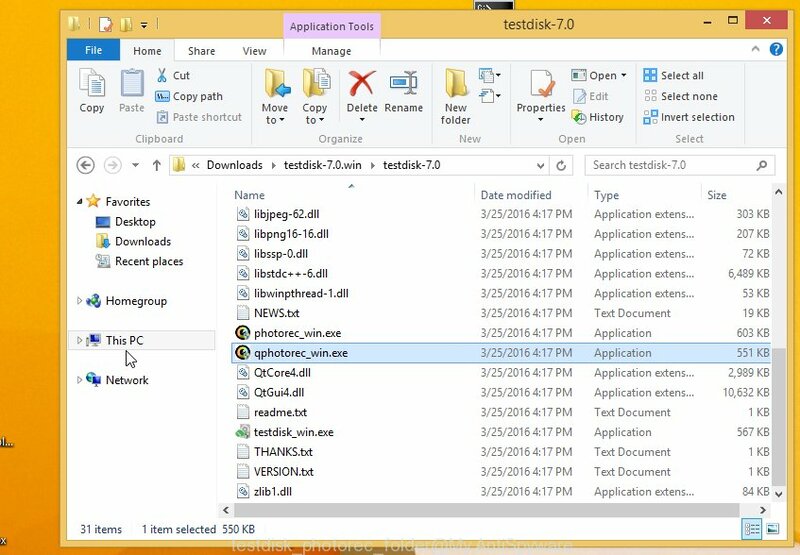 First you will need to download ShadowExplorer on your MS Windows Desktop from the link below. Run the ShadowExplorer tool and then select the disk (1) and the date (2) that you want to restore the shadow copy of file(s) encrypted by the .Etols ransomware as shown below. Now navigate to the file or folder that you want to recover. When ready right-click on it and click ‘Export’ button as displayed in the figure below. Before a file is encrypted, the .Etols ransomware makes a copy of this file, encrypts it, and then deletes the original file. 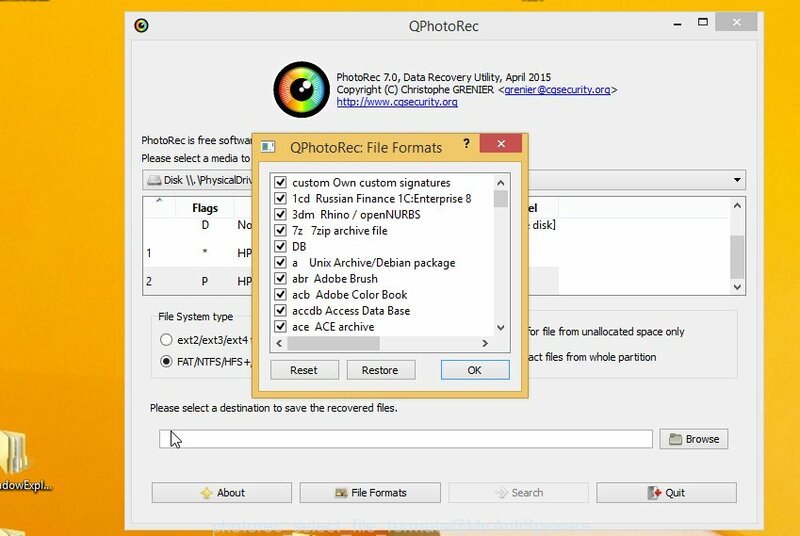 This can allow you to recover your photos, documents and music using file restore applications such as PhotoRec. 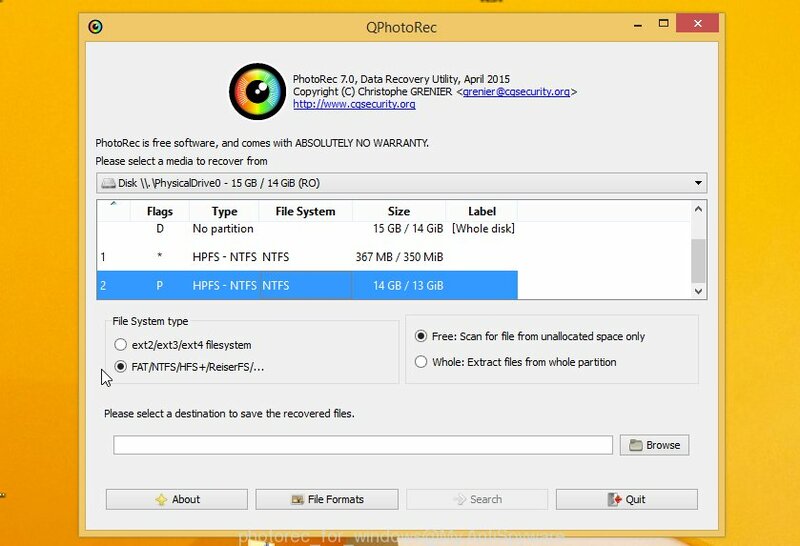 Download PhotoRec on your personal computer from the link below. When the downloading process is done, open a directory in which you saved it. Right click to testdisk-7.0.win and choose Extract all. Follow the prompts. Next please open the testdisk-7.0 folder as shown on the image below. Double click on qphotorec_win to run PhotoRec for MS Windows. It’ll display a screen as displayed on the screen below. You will see a list of available partitions. Select a partition that holds encrypted documents, photos and music as on the image below. Click File Formats button and specify file types to recover. You can to enable or disable the recovery of certain file types. When this is finished, press OK button. Next, click Browse button to select where restored files should be written, then press Search. Count of restored files is updated in real time. All restored photos, documents and music are written in a folder that you have selected on the previous step. You can to access the files even if the restore process is not finished. When the restore is complete, click on Quit button. Next, open the directory where restored photos, documents and music are stored. You will see a contents as displayed in the figure below. All restored files are written in recup_dir.1, recup_dir.2 … sub-directories. If you’re searching for a specific file, then you can to sort your restored files by extension and/or date/time. Most antivirus apps already have built-in protection system against the ransomware. Therefore, if your personal computer does not have an antivirus application, make sure you install it. As an extra protection, run the HitmanPro.Alert. All-in-all, HitmanPro.Alert is a fantastic tool to protect your system from any ransomware. If ransomware is detected, then HitmanPro.Alert automatically neutralizes malware and restores the encrypted files. HitmanPro.Alert is compatible with all versions of MS Windows operating system from MS Windows XP to Windows 10. Installing the HitmanPro Alert is simple. First you will need to download HitmanPro Alert on your machine by clicking on the link below. Double click the HitmanPro.Alert desktop icon. After the utility is started, you’ll be shown a window where you can select a level of protection, like below. Now your personal computer should be free of the .Etols ransomware. 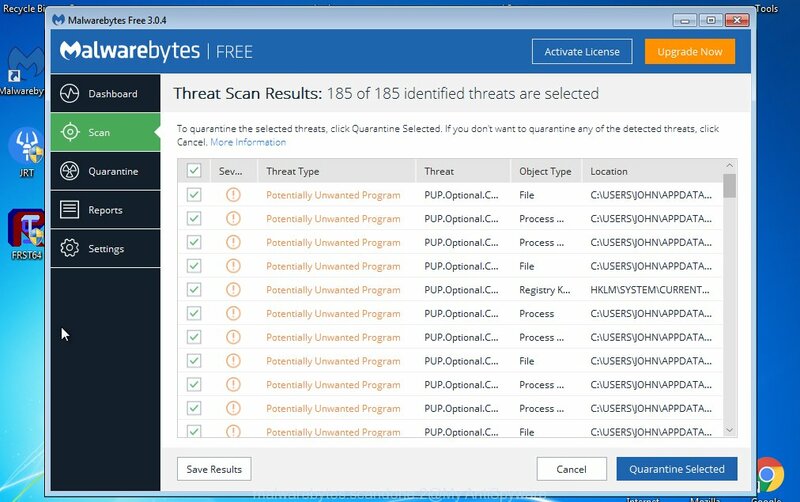 Delete MalwareBytes Free and KVRT. We recommend that you keep Zemana (to periodically scan your PC for new malware). Moreover, to prevent ransomware virus, please stay clear of unknown and third party programs, make sure that your antivirus application, turn on the option to block or search for ransomware. If you need more help with .Etols ransomware virus related issues, go to here.